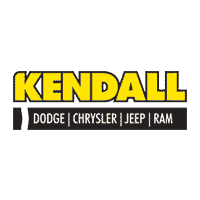 Contact Kendall DCJR Soldotna today for information on dozens of vehicles like this 2018 Dodge Journey GT. Want more room? Want more style? This Dodge Journey is the vehicle for you. Take home this 2018 Dodge Journey and enjoy the safety and added performance of AWD. Beautiful color combination with Billet Clearcoat exterior over -X4 interior making this the one to own! You can finally stop searching... You've found the one you've been looking for.